Since becoming a tenant of Chambers, Bayo has developed a busy and diverse practice. His principal areas of specialism are employment, commercial litigation and tax. Bayo was instructed as part of the legal team in The Construction Industry Vetting Information Group Litigation, a case highlighted by The Lawyer as one of the Top 20 Cases to watch in 2016. He remains instructed in ongoing related proceedings. In 2019 he was appointed to the Attorney General's Panel of Counsel (C Panel). Bayo is forging a broad practice in employment law. He frequently advises and appears on behalf of claimants and respondents in the Employment Tribunal, Employment Appeal Tribunal and the civil courts, particularly the High Court. Appearing in the High Court to defend a claim of civil fraud and breach of contract against a multi-academy trust. Acting for a respondent in a multi-day hearing against 15 claimants who brought claims for unpaid wages, redundancy pay and holiday pay following a disputed TUPE transfer. Click here for a copy of Bayo's recent article on the correct treatment of overtime payments for the purposes of holiday pay. Bayo has experience in a broad range of commercial disputes in the County Courts and High Court. He is available to accept instructions in all areas of commercial law. Acting for defendants in The Construction Industry Vetting Information Group Litigation - one of the Lawyer's Top 20 cases of 2016 - in which approximately 700 claimants broughts claims for defamation, unlawful means conspiracy, misuse of confidential and private information, and breach of the Data Protection Act 1998. Currently instructed in ongoing related Part 20 proceedings. Appearing in the High Court to set aside an injunction against an energy company. Appearing for an energy company in the High Court in respect of a high value claim against multiple associated companies. Advising an oil and gas company on the appropriate means of enforcing a multi-million pound judgment. Hargreaves v HMRC – On behalf of HMRC, two day appeal in the UT concerning the issue of whether the FTT had erred in its decision that the question of the competence of HMRC’s discovery assessment should be determined at the substantive hearing. Daniel v HMRC – On behalf of HMRC, a one-day appeal to the FTT by the appellant to set aside the judgment of a differently constituted FTT in respect of a decision that the appellant was not UK resident in the relevant tax year and that a discovery assessment in the same year was valid. Glyn v HMRC – On behalf of HMRC, one-day appeal in the UT against the FTT’s refusal of permission to appeal. Trigg v HMRC – On behalf of HMRC, two day hearing in the FTT concerning the issue of whether certain securities were qualifying corporate bonds, such that any gain accruing on their disposal would be a chargeable gain. 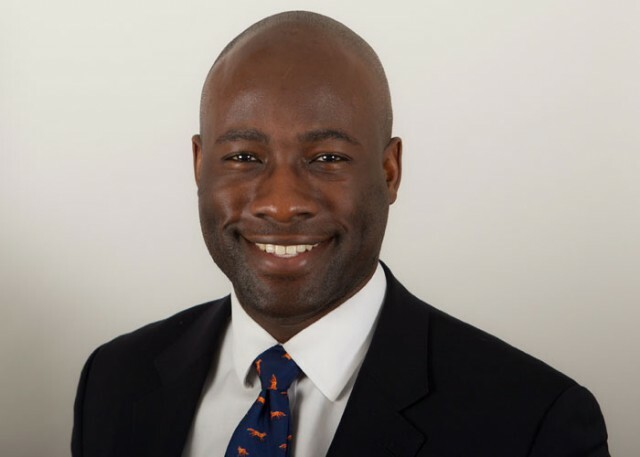 Click here for a copy of Bayo's article in which he analyses the effect of the costs sharing decision in Eclipse 35 and considers a few methods to avoid paying the full costs of bundle preparation, pending the Supreme Court appeal. Aggregation – a Series of Unfortunate Events?